This is a broad, ambitious book. Yuval doesn't attempt to describe any given devices or technology in a Kurzweillian way. 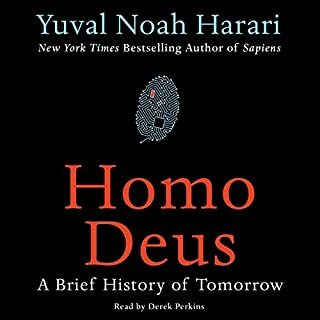 Instead he describes where humans are coming from and where we're going. He does this through a systems view. 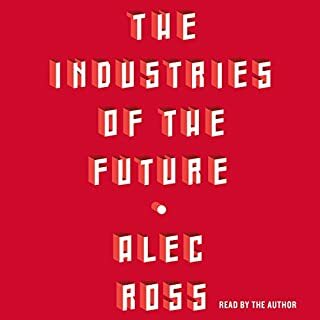 How our systems (social and political and philosophical) have been shaped in the past and uses that as a tensor for predicting future shapes for those systems. I like all of this. Yuval does this from as detached a way as is reasonably possible. My minor gripe is that the predictive surface is uneven, he seems to predict where individuals will head given an increased flow of easily accessible information, but fails to describe a post-liberal society. To me this seems like he's shrugging his shoulders at the forces in play, and I would have liked to see a couple likely directions. 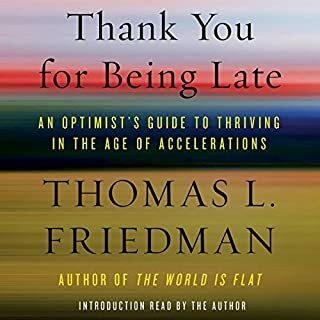 The picture painted by Thomas Friedman in this book is that we're moving into an age where security is a historical artifact is frankly terrifying. If you want to be relevant in the future you need to study, work and network all the time, If you're sleeping 8 hours a day then you've already lost. Somebody else is sleeping 4 and . 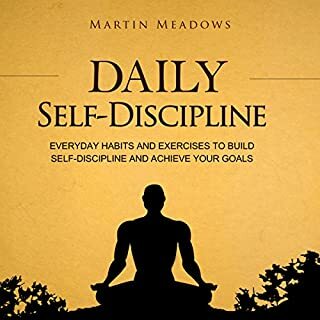 The list of *must do* habits (not things you need to do once, but changes that you need to wrap your life around) are long and complex. 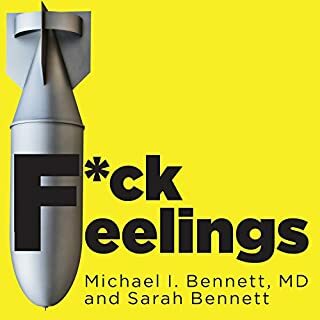 I've read other reviews that suggested the message of the book was "you're going to be ok"... I don't think they read or listened to this book. Thomas's intent to be realistic makes this a frightening picture. His common sense list of 18 things the American government should do... did you get that 18 things. None of which is going to happen any time soon. He has similar lists for what individuals need to do. His recollections and revisiting the idealic microcosm of his childhood shouldn't allay any concerns, the area of the country he talks about is all but gone, it's effectively fantasy...you can see this when he talks about neighboring areas that don't share the same strength of community. While I tired of Bennett's ongoing mad-lib, fill in the blank style, the substance that he provides is clear and cogent. I gave this three stars because there was nothing new here for me. However, I think the value proposition that Mr Meadows presents is intriguing. He is taking the best of what works out of a lot of more comes materials and breaking it down for smaller audiences or audiences with more limited time or narrower focus. Healthcare is a big business and is only continuing to grow. Because of this, technology must adapt and transform to meet the needs of the public. Failed healthcare IT projects are nothing new. However, they surely are something that can be learned from. In every failure is a lesson that can be used for a future project - a lesson that can help to save, or better, someone else's life. Lessons learned means finger pointing at stakeholders. 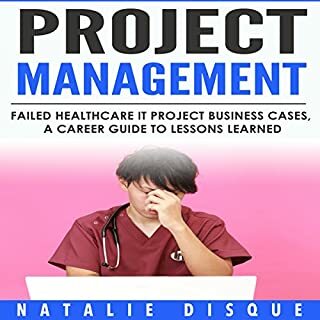 The lessons learned aren't brought to enough detail to actually be helpful to anyone unless they have no experience with project management. Stakeholders, unless they've worked in IT cannot imagine the complexity of IT projects. Stakeholder "buy in" cannot exist without an understanding of that complexity. The books early mapping of IT projects to construction project is glossed over and can span the length of a book this size. While not entirely inaccurate it doesn't map to the reality of IT projects. Requirements for IT projects are enormously complex and they shift rapidly, at the core of these requirements are user level requirements. While this is brought up for Google health, it's ignored for most of the projects. 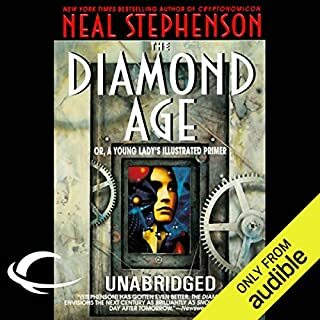 Stephenson creates compelling worlds, where technology and society co-evolve, where he can project forward todays youth into tomorrows senior citizens in a compelling way. He does so by making the society and it's idiosyncrasies the primary character and the personalities that occupy it as secondary. Stephenson doesn't treat the technology as a character, but as backdrop, but it is still characterized in a compelling way.